Our new Long Reach LCD Ceiling Mount CM-M123N features built-in gas pneumatic spring design for easy and smooth movements, allowing instant floating of LCD monitor from position to position. This LCD ceiling mount provides maximum of 72" (182.5cm) straight extension. 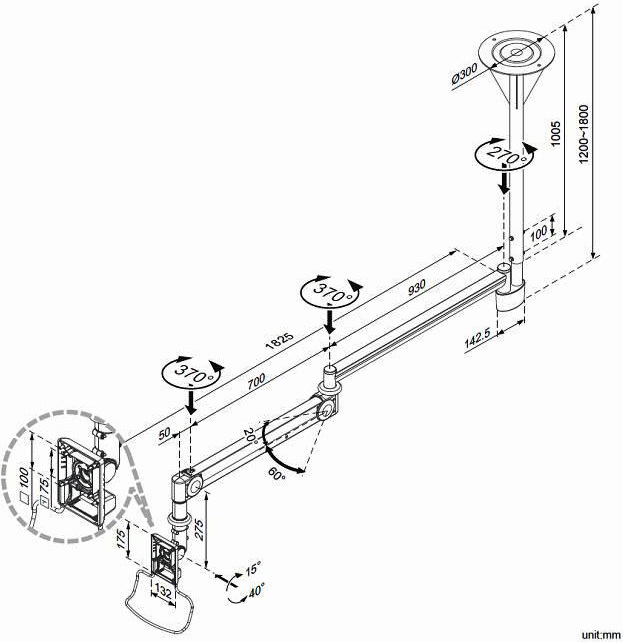 The articulating arm is a perfect solution if you need to float your LCD monitor around or above settings like workstation, manufacturing equipment, assembly line etc. 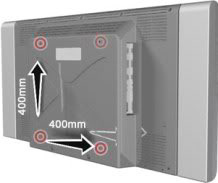 The ceiling mount solution can be rotated 270° & 370° at arms, 370° at monitor end. When not in use, the unit can be folded up and out of the way, an excellent space-saving feature for any room. Concealed cable management not only makes the whole unit more neat looking but also enhances secure performance. This simple and contemporary looking durable arm is made of aluminum alloy with plastic cover outside. It's ergonomic, space saving attributes and contemporary look make the LCD wall mount a practical choice in businesses, office, doctors’ office, clinics, dental operatories, hospitals and factories. Please note that monitor is not included.